Have you heard about nature therapy? It is the idea that spending time outdoors, specifically in a park or woodland, will help alleviate an array of physical and mental health issues in both children and adults. Many people find time in their busy schedules to play sports or exercise outside, which on its own generates great health benefits. However, science is finding that a city ball field or suburban neighborhood does not provide the same effect as immersing under a vast treed canopy. Research is showing that the forest offers a precious “time out” from the urban environment’s pollution and daily stressors, providing more health benefits than exercise on its own. In the forest, it is theorized, we are exposed to the calming effect of the trees and vegetation and streams and waterfalls. At the microscopic level we are even exposed to the beneficial bacteria in the soil that compose our own microbiome. The natural setting brings our bodies back full circle, returning to what they recognize from earliest evolution. What are some of nature’s health benefits? What are the specific benefits for kids? At ComoLagoBike we have many families with both young boys and girls join us for a guided tour or to rent bikes on their own. 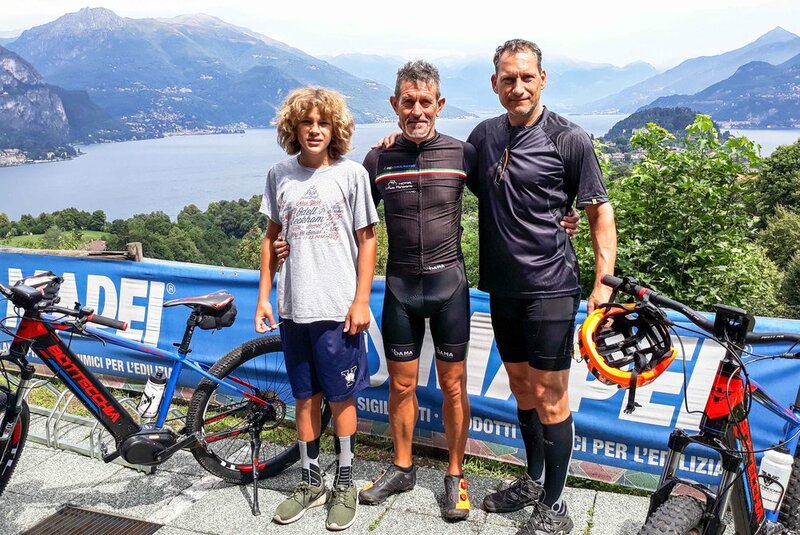 It is inspiring to see the joy in their exploration of Lake Como together. We typically are able to outfit kids older than 10 to fit on our smallest bikes, taking into account their height and basic motor coordination skills. When planning a ride, our guides always discuss the appropriate itinerary with the parents and ensure that the route will be positive and enjoyable for everyone. Once the bikes are fit and helmets adjusted, the guides provide basic instructions on using the bikes and the plan for the day. Then it is time for the family to set off on their adventure with the kids pedaling independently. Riding safely, whether being predictable and safe around cars or staying in control and learning their balance around trees and rocks. For these few hours their attention is purely focused on the bike, their actions, and the world moving around them without the multitude of distractions from a digital screen. These skills eventually become a tool of self-awareness, confidence, and independence throughout their young adult lives. We have had kids join us who did not know how to ride a bike much beyond a school playground, and in a few hours they’ve found an activity they want to incorporate into their daily routine. Our kudos to the parents for encouraging them to try! Route finding from a map or GPS. What is the most efficient, safest way for the group to reach its destination? What fun sights will we see along the way? What if we want to take a different route back? Identifying new trees, vegetation, birds and animals. How are they different from where we live? Noticing the change in the landscape from the lake to the alpine areas. Lake Como has a diverse range of habitat. Why might that happen? Conceptualizing the geologic time scale. How did these deep cold lakes and high mountains form? Why are there several glacial erratics in this area and what brought them here? Exploring the cobblestone alleys of medieval villages to learn about their history, architecture, battles, and artworks. 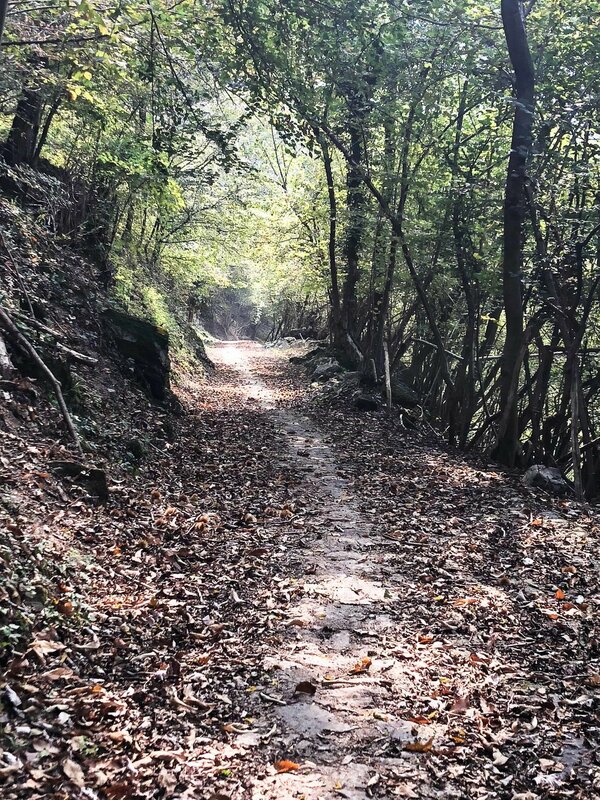 The Adda River trail that travels south from Lecco along a tranquil, flat, treelined path through the protected parks that are home to abundant wildlife. Perfect for new or intermediate riders. 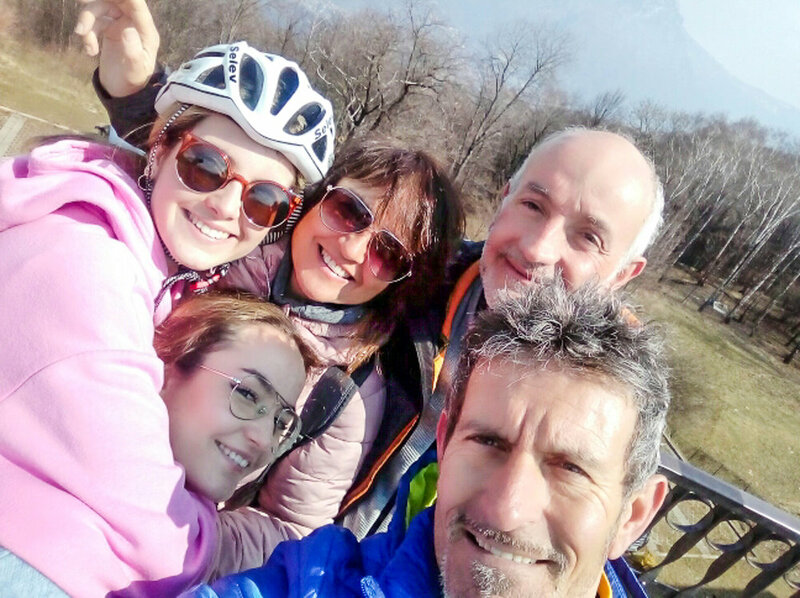 The small lakes south of Lake Como are ringed with wetlands and dedicated bike and pedestrian paths. These are a great option for young kids and new riders. Each tour is filled with diverse natural environments to explore so talk with our guides about which is best for your family. No matter where you go, bikes have the “cool factor” that still brings a family together. Since everyone rides their own bike, they adopt their own style and ownership, riding independently but together as a rolling family unit. 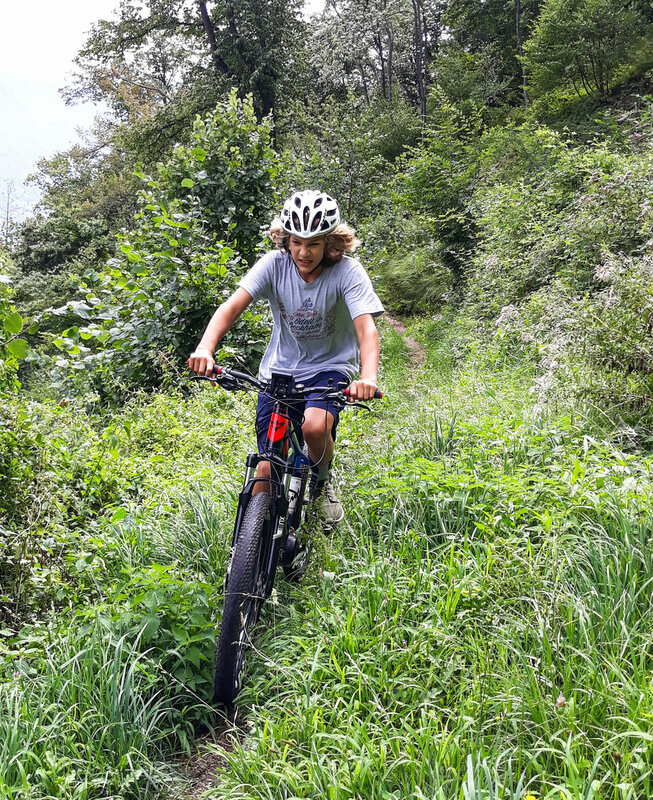 A kid can ride a few feet away from their parents, but in their mind be in their own new world of adventure and learning while immersed in nature therapy. 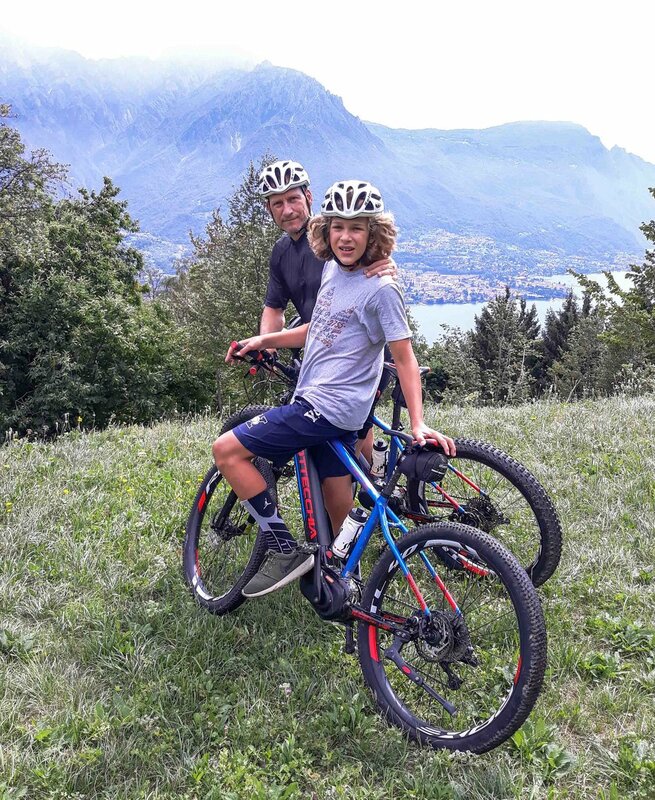 Interested in immersing your family in Lake Como’s nature therapy by bike? We are happy to set up a trip for you that will have everyone smiling and having fun, and we can already predict that there will be cheers for pizza and gelato after!